From The Daily Star. SANAA - Hundreds of protesters demonstrated in front of Yemen’s Parliament on Tuesday in favor of a draft law that sets the minimum legal marriage age for women to 17 years old. The demonstration came just two days after a larger rally held on Sunday in protest against the proposed law. Tuesday’s protest was organized by the General Union of Yemeni Women, the government-run National Women Committee, the Arab Sisters Forum and the Women National Committee in response to Sunday’s protest, which was called by Islamists and conservatives. The rally on Tuesday also included girl and boy scouts and other members of Yemeni civil society. Among the protesters was Nojoud Mohammad Ali, who obtained a divorce two years ago after her father forced her to marry a man 20 years her senior when she was just eight. “I am here to ask parliament not to touch the law that sets the marriage age at 17 years,” she told reporters. 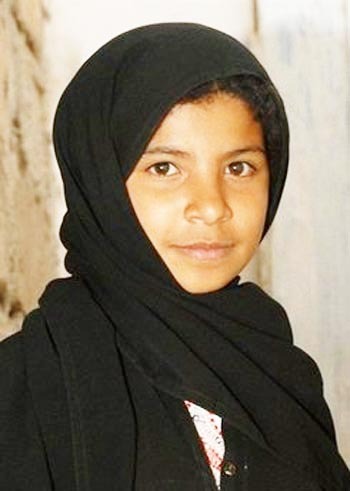 Yemenis are divided on the issue of child marriage, which has become politicized. “I strongly support setting a minimum age,” said Abdel-Qader Al-Duaish, a member of Parliament who briefly joined the protesters on Tuesday.